Getting your XC touring off to a good start, the Fischer XC Touring My Style boots are warm and comfortable with performance to match. Specifically designed for a women's foot, the Fischer Vision Touring offers a softer flex for a more comfortable kick action. Warmth and fit for performance, the Salomon Siam 7 has a women's last for comfortable touring. Whether in track, or making some of your own, the Rossignol X5 FW Ski Boots keep you feet warm and comfortable on long tours. Perfect for a bit of Nordic enjoyment, the Fischer XC Control ski boots are stable and transfer direct power to the ski. Made for both in-track and off-track cross country touring, the BC 50's Thinsulate insulation keeps feet toasty feet on long ski outings in cold weather. Great comfort and stability. The Rossignol BCX5 is for classic cross country skiers embarking on adventures both in track and in the woods. For those powder day treks the Alpina ST 20 ski boot features Thinsulate padding up and around the ankle, and a zippered tongue cover, to keep out the snow. For those powder day treks the Alpina T20 ski boot features Thinsulate padding up and around the ankle, and a zippered tongue cover, to keep out the snow. 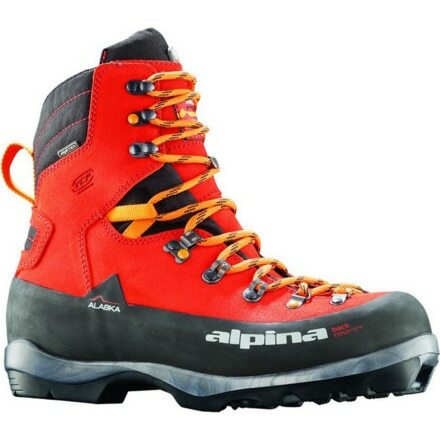 Ideal for some Nordic Touring, Alpina T20 Plus Ski boots will keep your feet warm and dry in changeable conditions. Ultimate comfort and superb control, the Fischer XC Control boots offer a luxurious ride. New for backcountry! The Fischer BCX 675 ski boots will drive metal edge cross country skis with precision, perfect for earning some turns. For committed back country explorers, the Rossignol BCX9 ski boots are comfortable and warm for all day adventures. If the backcountry is calling you to forge your own path, the BC X11 is a perfect boot to explore off trail in more aggressive terrain. With a backcountry sole for greater stability the Fischer Offtrack 5 BC Ski Boots provide reliable power transfer for kicking turns. Cold feet are finally a thing of the past, the Fischer Offtrack 3 BC boots feature wool in the lining to keep you warm in the backcountry.